I warn you that "THE BOW" everything will invade my wardrobe this year. This vintage dress is another ladylike number that I recently purchased and worn last week. Colorful, fun, classy and most of all comfortable, this dress is pretty much everything I want. 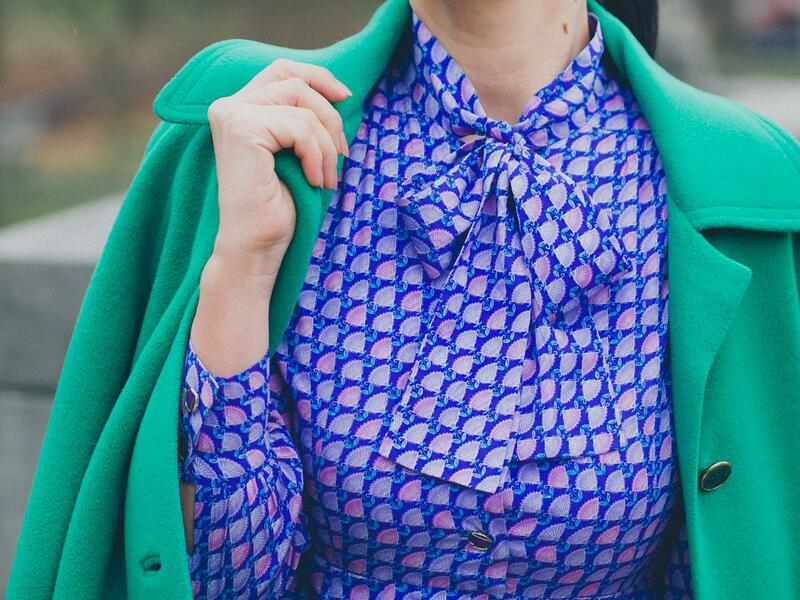 This outfit is an absolute retro chic perfection! I’m in love with the dress, it’s so ladylike and it’s print is so interesting. This is such a beautiful outfit! I love the coat, the color is amazing but my favorite item has to be the shoes! Theya re so elegant and the details are gorgeous!